The point of being an actor is to lose oneself in a specific role, whether it be of a fictional nature or of someone that actually exists. Tom Hiddleston, arguably best known for taking on the make-believe god Loki in the Marvel Cinematic Universe, is also quite good at impersonating other members of Hollywood’s elite. 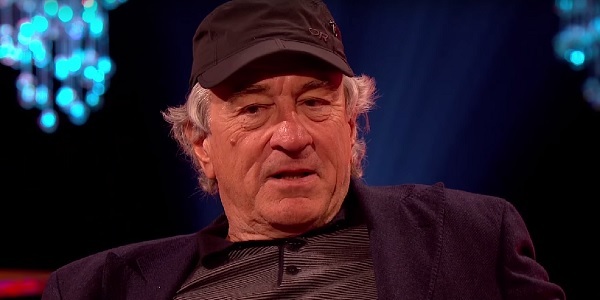 On The Graham Norton Show, Hiddleston had the relatively insane opportunity to show off his Robert De Niro impression in front of the Oscar-winning actor himself. Check it out! Now I want to see Hiddleston doing Al Pacino in front of Al Pacino, because that was the best impression of the bunch. But if I can aim a truly lofty request at the universe, it would be for there to exist an audio drama version of Michael Mann’s Heat, with Hiddleston playing all the roles. I bet his Tom Sizemore and Val Kilmer are pretty good, and I don’t know if I’ve ever heard anyone give an impression of Ashley Judd, so it would automatically be the best one. There has to be a studio in the U.K. that’s interested in this. After years of hearing countless people take on Christopher Walken, particularly the impeccable Kevin Pollack, I wasn’t that impressed by Hiddleston’s version. He just didn’t actually sound like him, although he definitely nailed the stutter-stepping cadence of Walken’s speech. Still, I’d be into watching these two guys do the “mirror in the doorway” gag together. I don’t even know what to say about his Owen Wilson impression, which was pretty damned good, but I can’t think of a single situation where one would want or need to sound like Owen Wilson. Unless someone just really wanted to use a phone call to weasel a way onto a Wes Anderson movie. Find out what other celebrity impressions Graham Norton can pull out of people when his show airs on on BBC America. And later this year, check out Tom Hiddleston putting on his best Hank Williams impression for the biopic I Saw the Light.